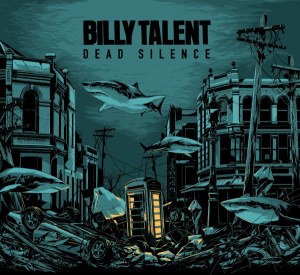 As Billy Talent guitarist Ian D’Sa puts it, Warner Music Canada knew the next album wouldn’t turn into some country album if the label left the multi-platinum-selling rock band to its own devices and allowed him to produce their fourth studio full-length. Dead Silence will be released worldwide on or around Sept. 11 via Warner Music, except for the U.S. where the Toronto-based band has a brand new deal with Canadian indie label Last Gang, distributed by Sony Music in America. The only song to have been released so far from the album is “Viking Death March,” which went to radio in late June. The video, released mid-July, was shot in Germany at Rock Am Ring festival in front of more than 115,000 people by award-winning directors Michael Maxxis and David Logan. Kane says they wanted to give their Germany company a track that would build anticipation for the new album, even though it wouldn’t be released for another two months. Billy Talent’s manager Pierre Tremblay of Vancouver’s Hive Management says the month of festival dates in Europe that the band played launched the international campaign for the new album, which did not have a title at that point. The single came out the week before Nürburg’s Rock Am Ring and Nuremburg’s Rock Am Park. “Because we took so long getting this record recorded, we wanted to reward the fans somehow with a song and ‘Viking Death March,’ the theme of it is more of a do-it-yourself, non-commercial, empowerment type thing and that’s what we wanted to do with the song first. We wanted to deliver directly from artist to fan and we succeeded with that, then it took a life of its own and became a successful radio single and the labels decided to work it,” says Tremblay. The album was originally expected to come out in late spring, if everything went according to plan — but it didn’t. Frontman Ben Kowalewicz, drummer Aaron Solowoniuk, bassist Jon Gallant and D’Sa began recording the 14-track album in late November, starting with three weeks of drums at Vancouver’s Armoury Studios. They then returned home for Christmas and picked up again in Toronto, finishing it off at Noble Street Studios and Billy Talent Headquarters. “I have a lot of guitars and a lot of gear here, and it would really be quite expensive to ship it all out there,” explains D’Sa to Lowdown of why they didn’t continue at the Armoury. D’Sa, whose angular guitar work has become as much a signature of Billy Talent as Kowalewicz’ intense voice, produced a four-track cassette of the band when it was called Pezz 19 years ago ago in Streetsville, Ont. He was always interested in producing a proper album for the band later, once he gained more experience and know-how. 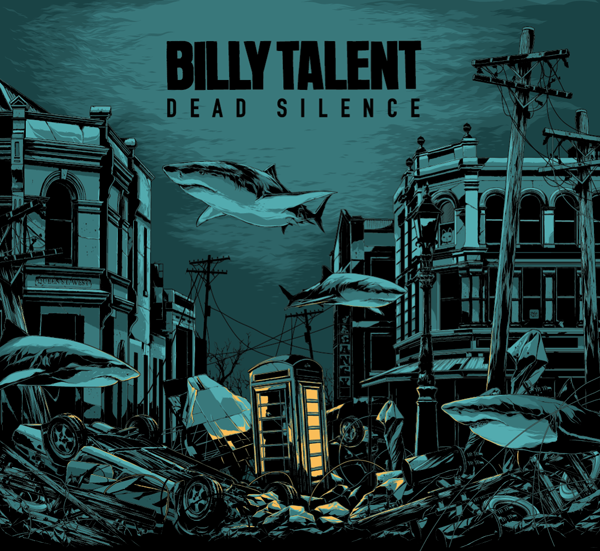 Gavin Brown produced Billy Talent’s 2003 self-titled Warner Music Canada debut, which has since sold 360,000 units in Canada, according to Nielsen SoundScan. 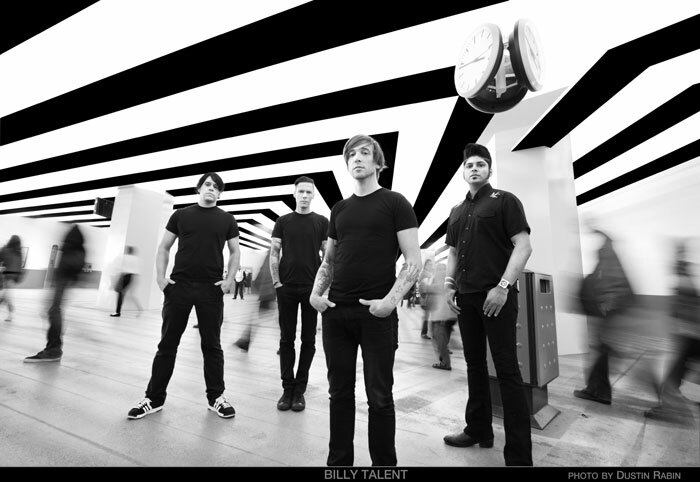 The follow-up, 2006’s Billy Talent II, D’Sa co-produced with Brown (it has sold 315,000 units to date), but for 2009’s Billy Talent III, Brendan O’Brien helmed the whole album (it has sold 165,000 units to date). He says no one needed any convincing to let him produce a whole record for the band by himself. “I think we all feel that we’ve earned this in a way,” says D’Sa. “I’ve been in the band for 18 years so it’s a bit of a no-brainer after working with guys like Gavin and Brendan and learning so much about what they do that I was able to apply to this record. Between Billy Talent III and the start of Dead Silence, Billy Talent’s head of A&R switched positions at Warner Music Canada (he has since left the company) so D’Sa says the new album wasn’t A&Red. “A&R relationship with this band has always been not necessarily about the creative process, but more about what needs to be done once the music is recorded,” adds Tremblay. The spring deadline wasn’t met not just due to creative decisions, but partly because after Solowoniuk had an operation in early February to replace a value in his heart. While Solowoniuk recuperated for two months, the rest of Billy Talent finished up the album and Solowoniuk was as good as new — if not better — in time for summer festival season. “As far as the international set up goes,” says Tremblay, “we did festivals in Europe and came back to North America at the end of June and did the odd festival in Canada in July, and Australia in early August to start setting up the record there, and then back to Europe [mid to late Aug.] for some key festivals like Reading, Leeds, all before the record comes out around September 11. The band — booked by The Agency Group in every territory except America where it is APA — will be returning to Europe late Sept. to mid Oct. for a tour of Germany, plus a few dates in Switzerland and Austria, and 11 shows in the UK in November. Management just sorted out the situation for the U.S. release, as Roadrunner, which released Billy Talent III, has since been absorbed into Warner Music Group and suffered office closures and layoffs. Atlantic released the first two Billy Talent albums. 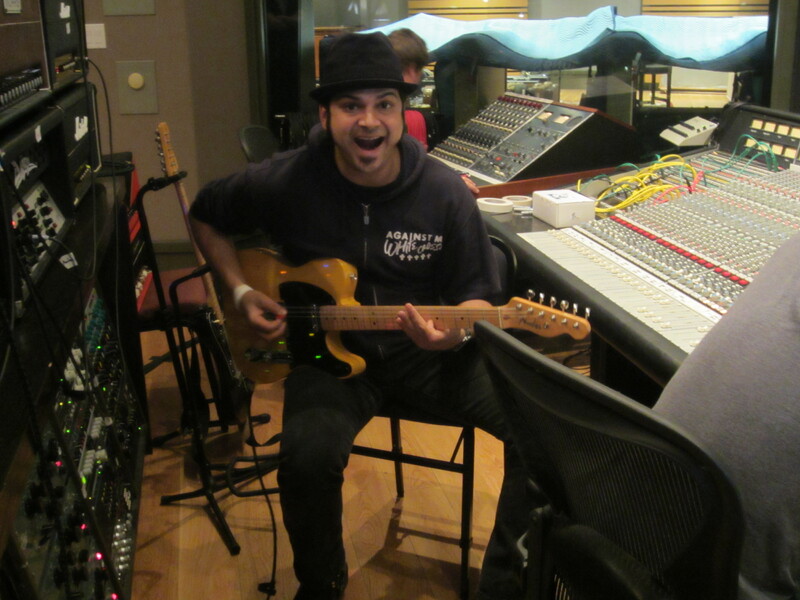 Last Gang Records was founded by lawyer Chris Taylor, whose firm Taylor Klein Oballa has represented Billy Talent since before it was signed. Congrats, Karen (aka Older Sister) on making a run at this on your own 🙂 I’m looking forward to reading each and everything that you do (as always). so pumped for the new album!